Resistance, exile, plague. 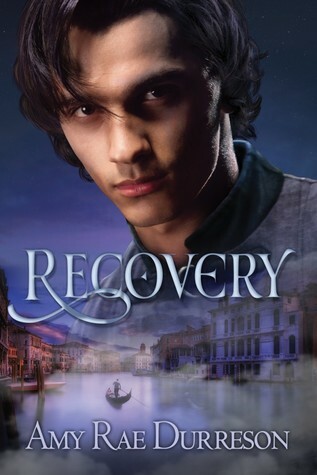 Raif has survived them all, but now he finds himself in search of a new purpose. Traveling north to wake the dragon Arden, he hopes he has finally found a leader worthy of his loyalty, but Arden turns out to be more of a frivolous annoyance than an almighty spirit lord. Now bound to Arden’s side despite his frustration, Raif follows the dragon to the rich and influential lagoon city of Aliann, chasing rumors of the Shadow that once cursed his homeland. With the election of a new duke at stake, Raif struggles to make sense of the challenges he meets in Aliann: a conspiracy of nixies and pirates, selkie refugees in desperate need of a champion, a monster that devours souls, a flirtatious pirate prince, and a machine that could change the world. For nothing in the city of masks is what it seems, from the new friends Raif makes to the dragon he follows—or even himself. Wow…I want to read the previous books in the series! Although this is 3rd of the series, there is no problem following the plot and characters. This book is placed in a world where the Keeper of the Laws are dragons, we’ll meet various creatures and Gods in this book. This sequel is about Raif. Raif is a faithful man, a devotee of Dual God of Tiallat. Tiallat is the place where Raif comes from. He is travelling north to awaken the dragon Arden. His first stop is in Allien, the city of the cities. After bribing through customs and the gates, Reif finds himself almost drowned in the lagoon. For me, Allien was an image of Venice, with canals, bridges and narrow passages. Allien is built on the Lagoon, in what Reif finds himself after meeting them, Pol. He almost drowned but someone, a woman saves him. Later we will find out that the woman is not an ordinary woman and she chooses Raif as her champion. After that, Raif can’t wait to get out of this city, and he hopes he will never return again. Then his journey to north resumes. On his way to find Arden, he has time to delve into his past. He survived the Plague and the Shadow, who overtook him, he misses his best friend, Iskandir, who turned out to be the Dual God of Tiallat, but he can’t get passed that him, Iskandir was lying to him. When he reached the place where Arden should be, his search starts. Finally, he finds Arden who was sleeping for over a thousand years, Raif wakes him with an ardent pledge to be a part of his horde. But Arden is nothing like Raif would expect from a Keeper of the Laws. Arden is naughty and frivolous. He’s a handful. He doesn’t speak the language, but he is a quick study. He learns all the tricks in this world like gambling and cheating, smooth talk and charms. Raif, against his own will, is falling for Arden. But in order to destroy the Shadow they need to turn back to Alienn and meet the challenge of finding the Shadow. 5 honest to God OptimuMM’s.